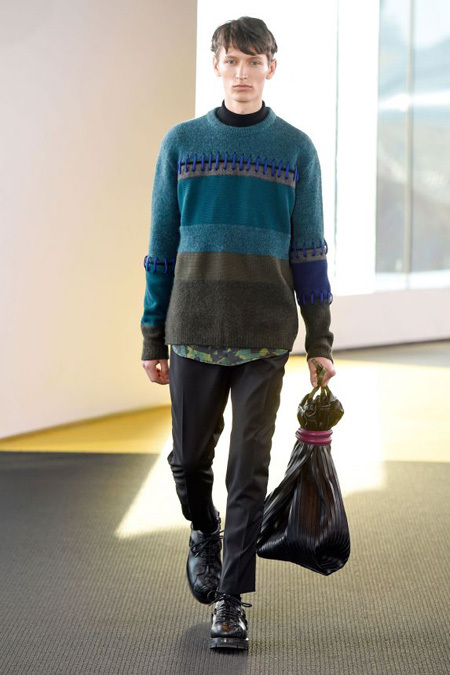 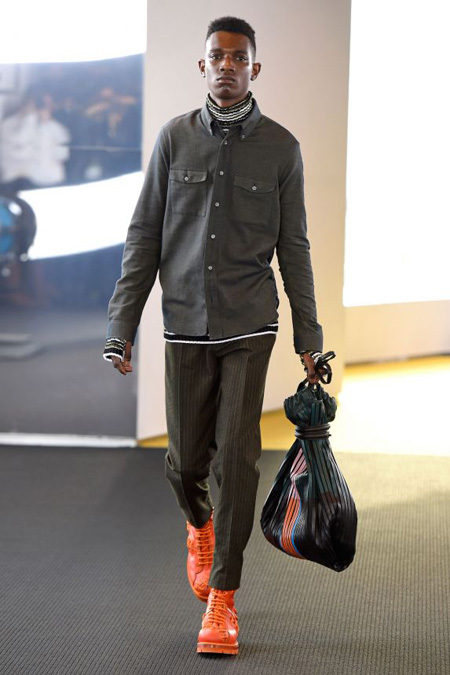 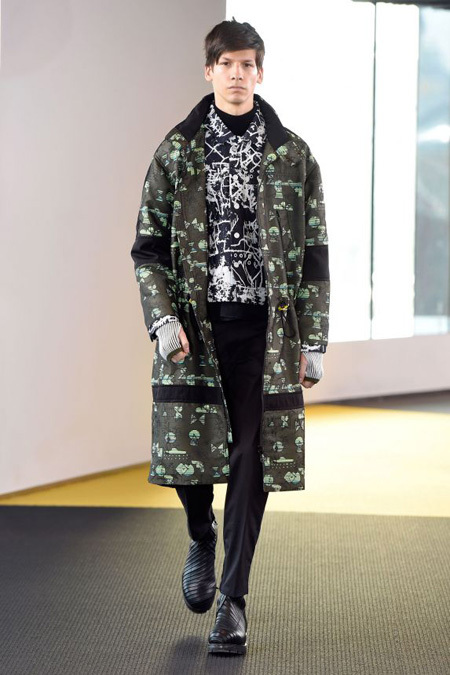 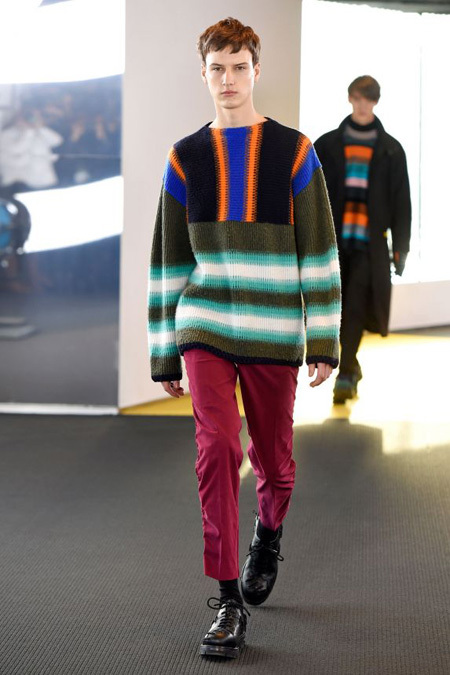 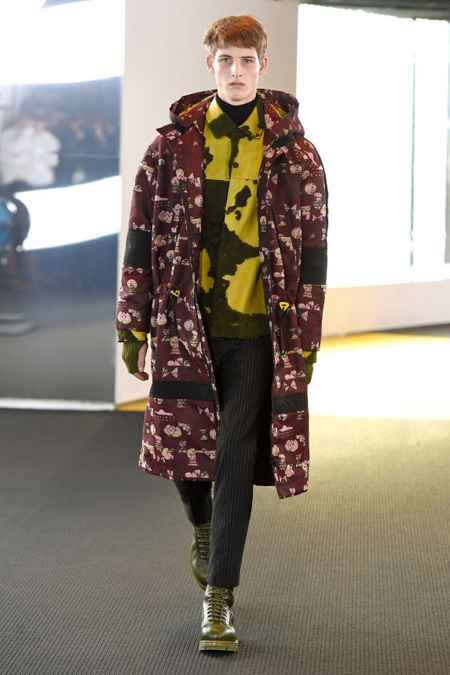 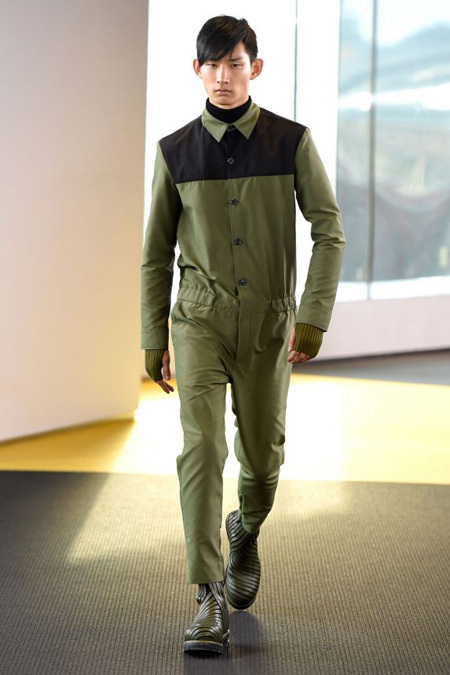 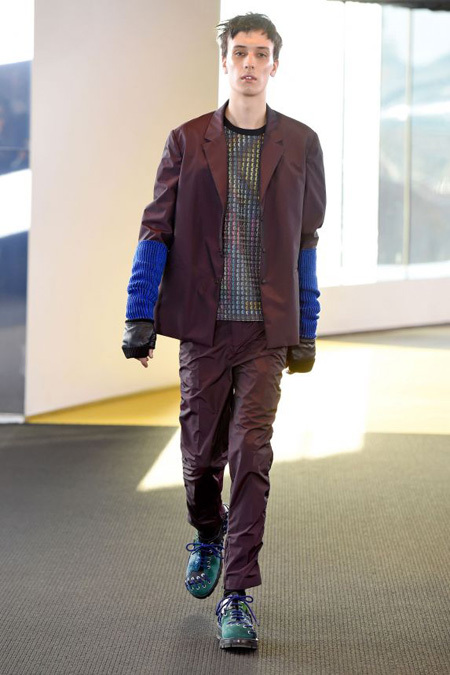 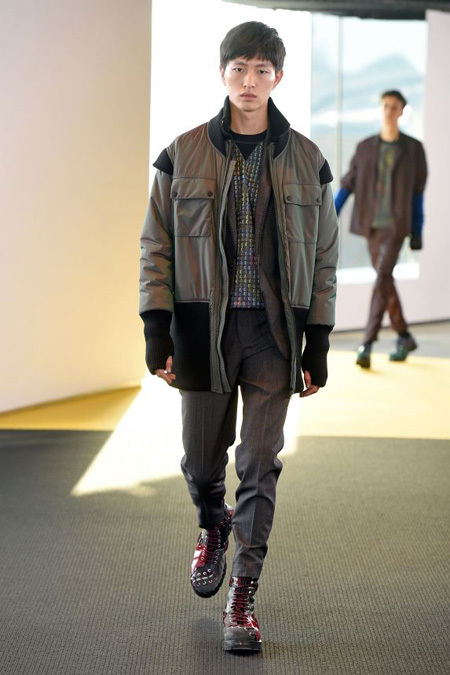 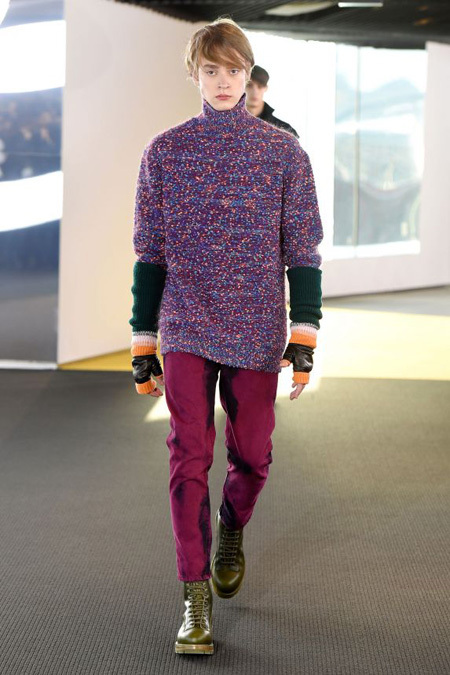 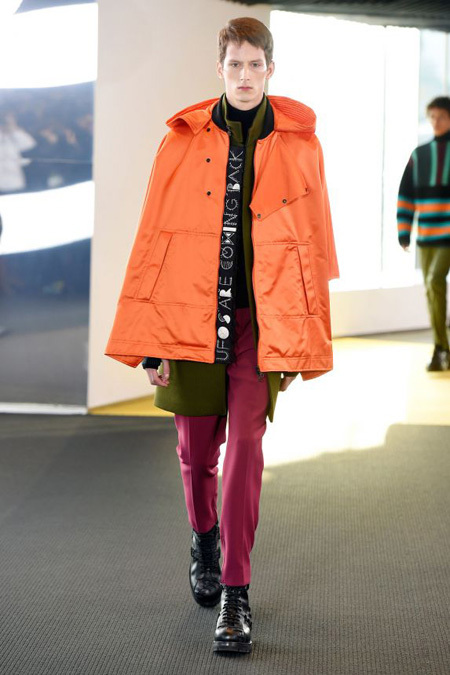 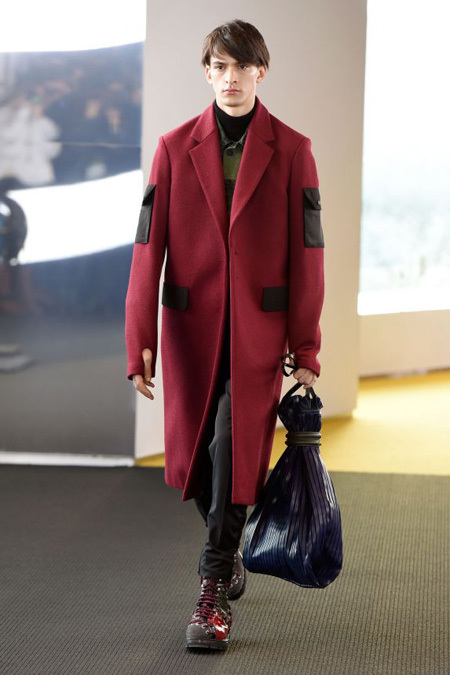 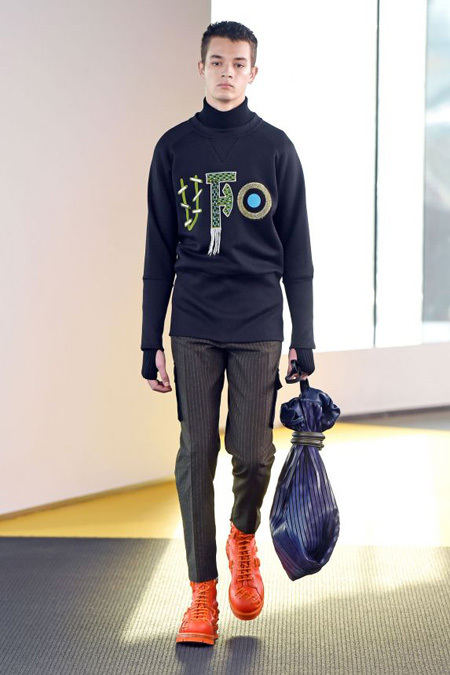 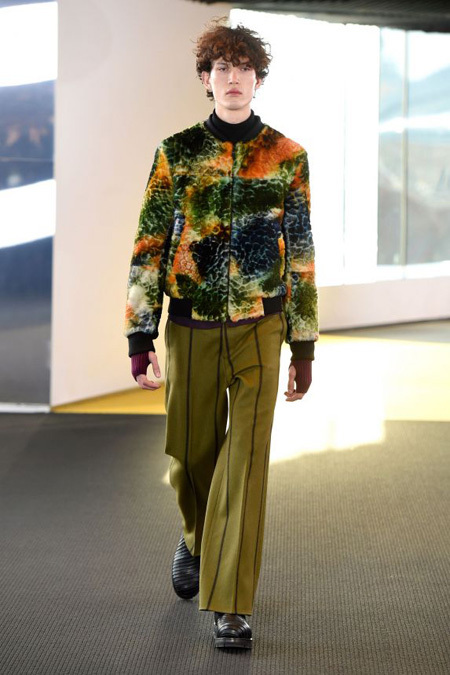 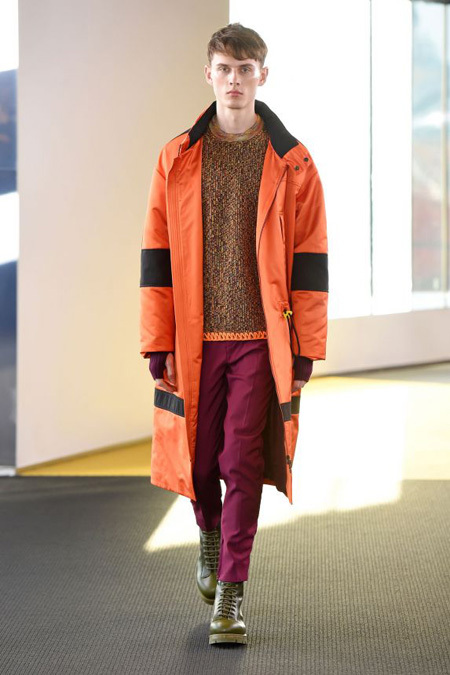 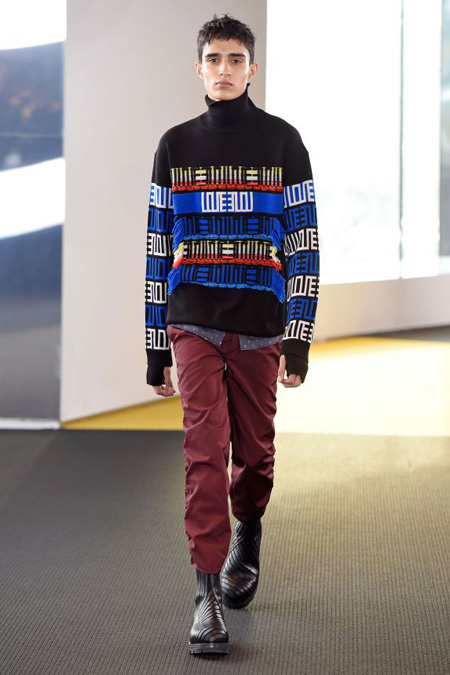 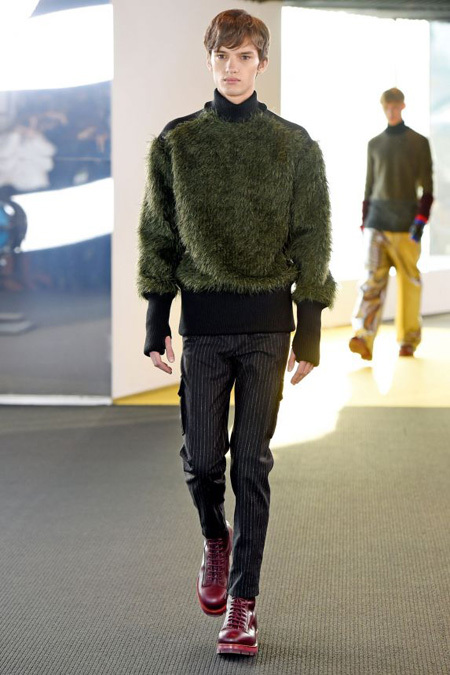 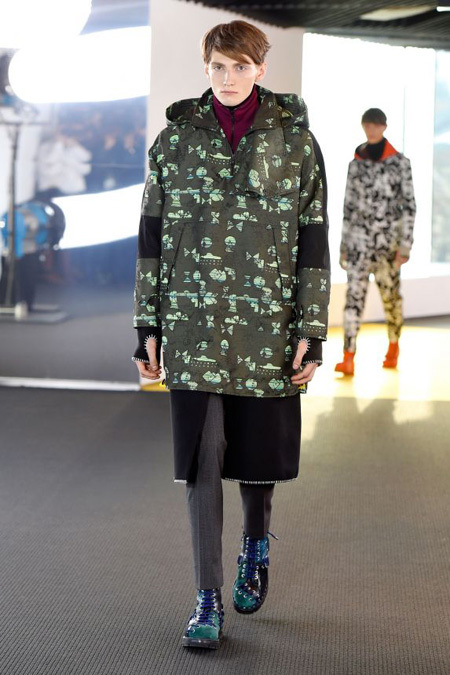 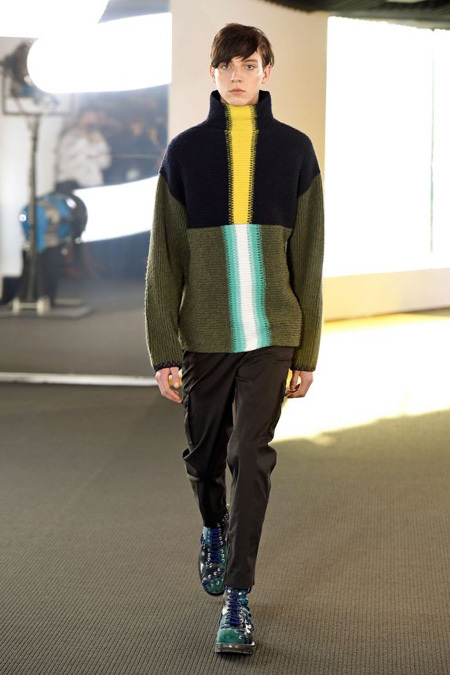 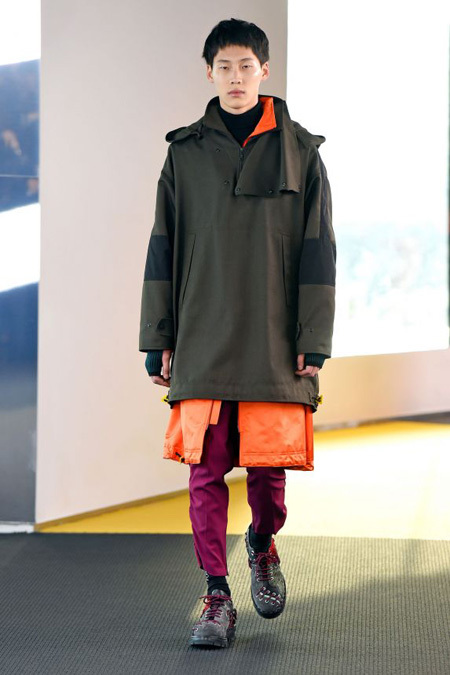 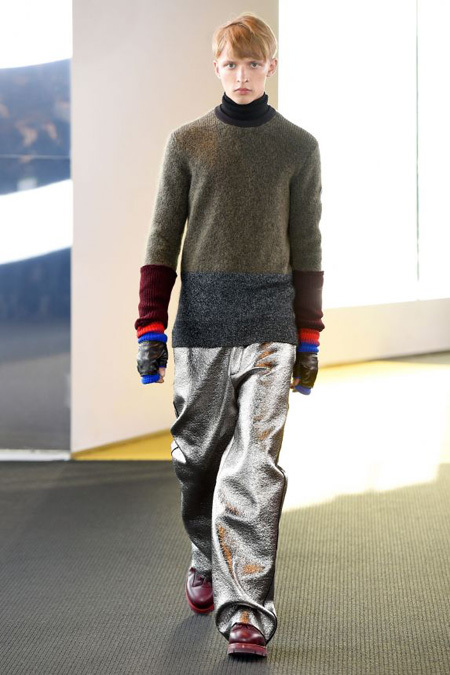 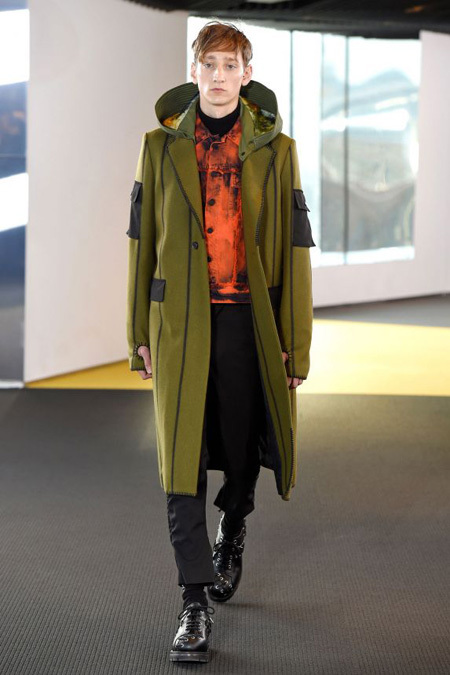 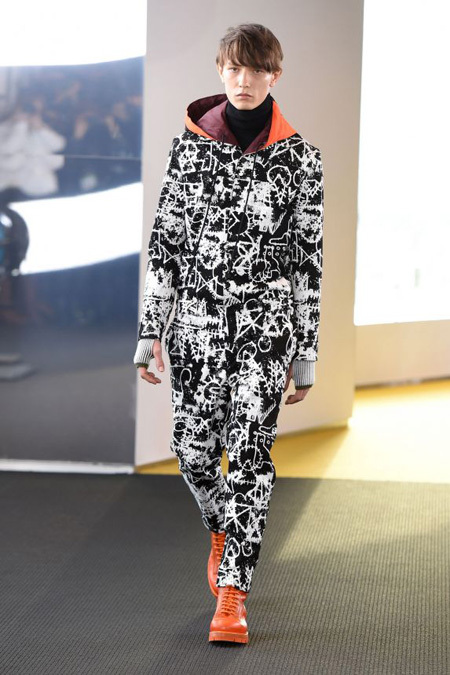 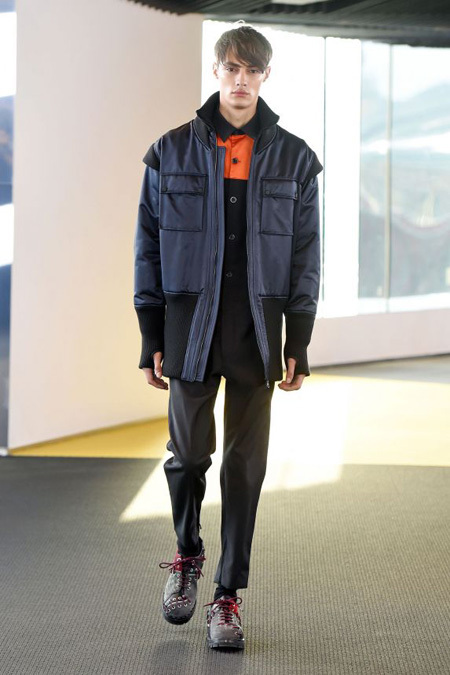 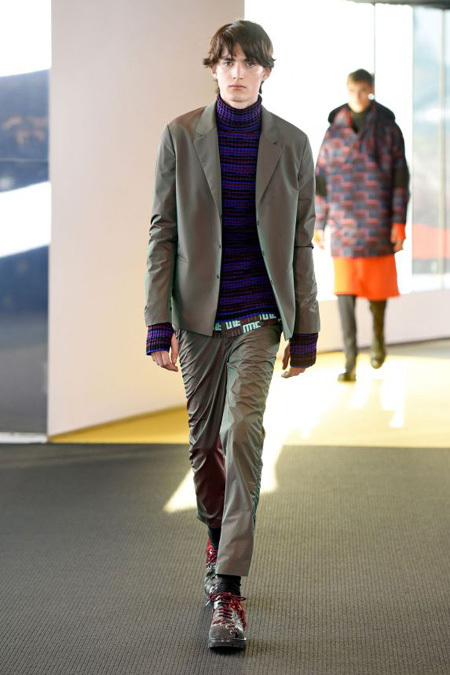 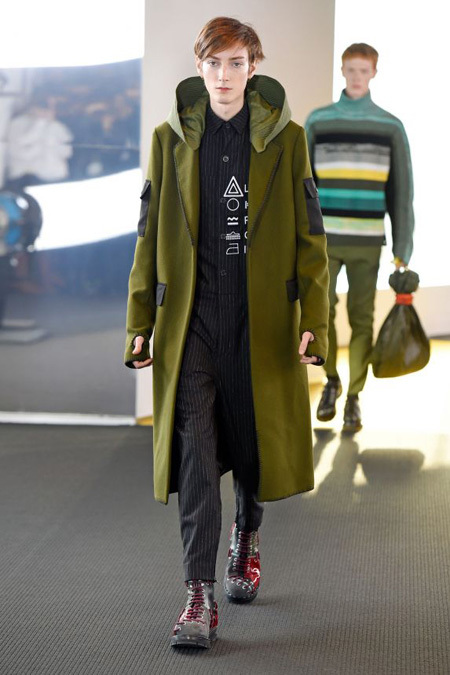 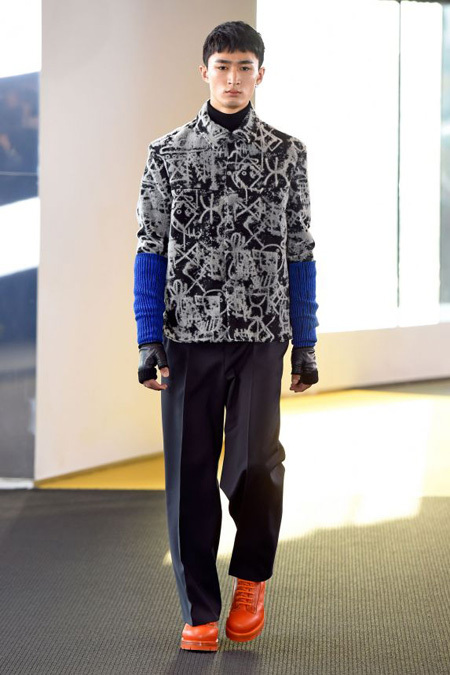 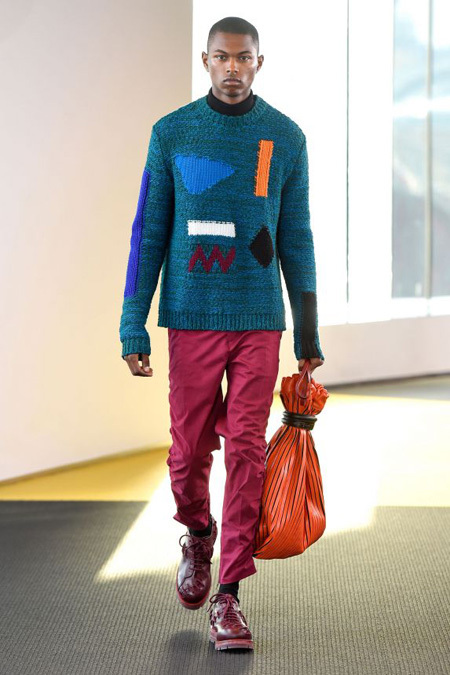 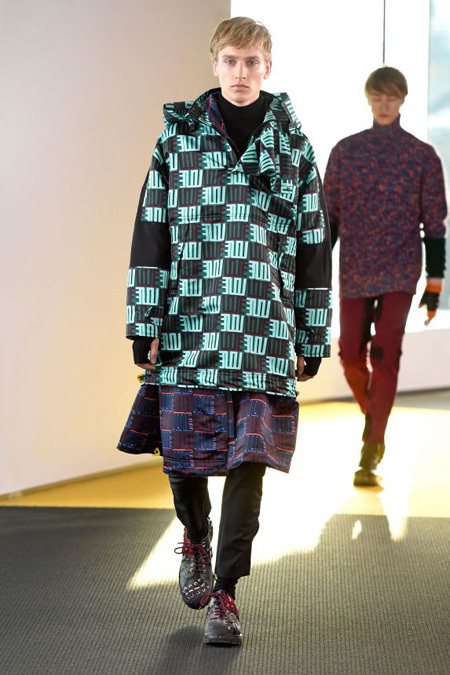 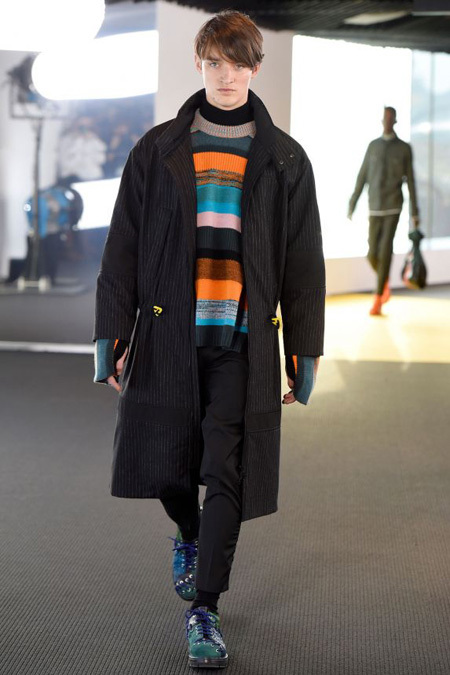 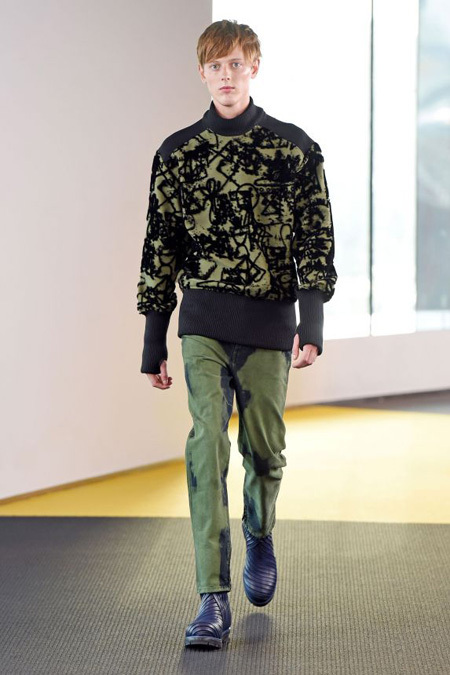 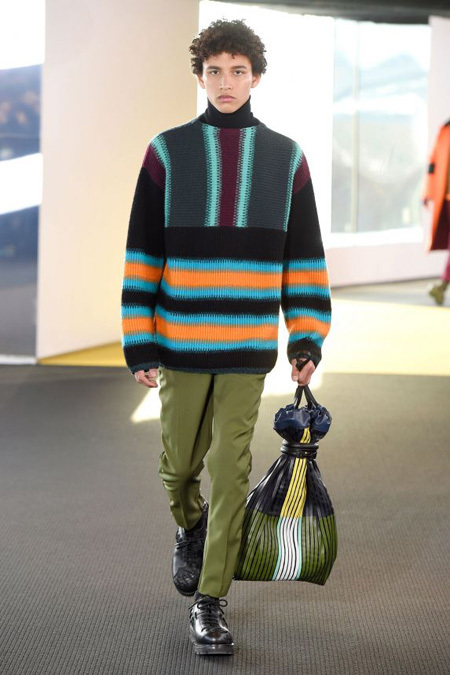 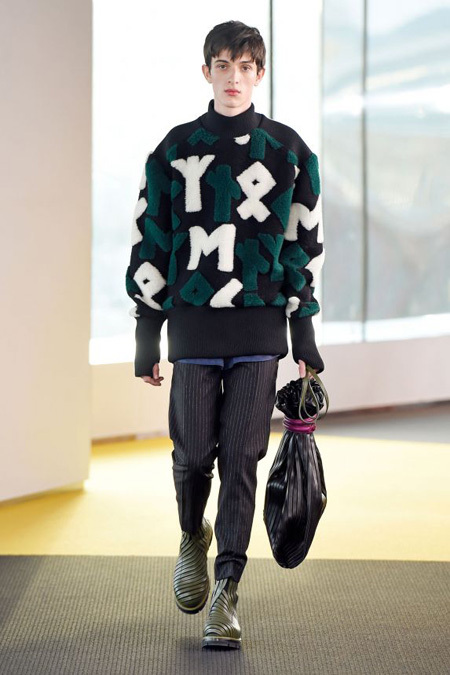 For the Fall/Winter 2015 Kenzo menswear collection looks towards individuality, survival, protection and the functional. 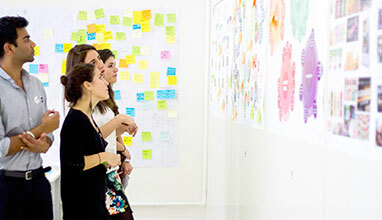 They welcome the unknown with inimitable curiosity. 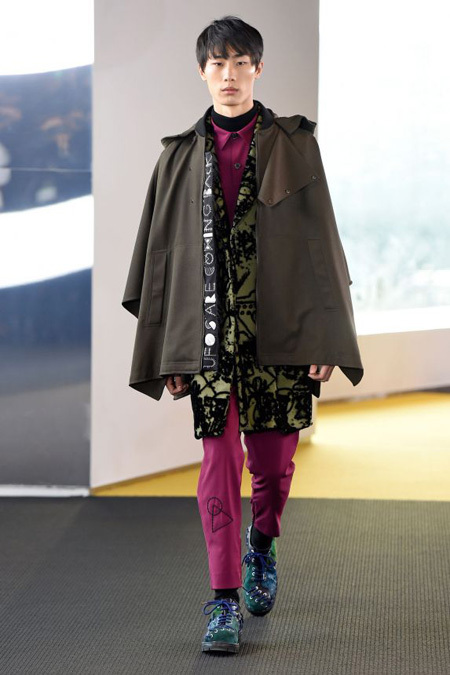 They celebrate the signs of others and observe symbolism as communication through cult scribbles, care labels and unique prints. 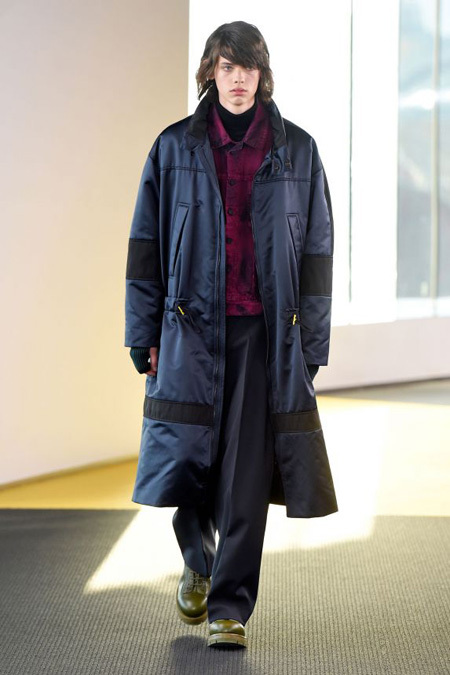 Layered silhouettes throughout the collection provide warmth and security against the elements. 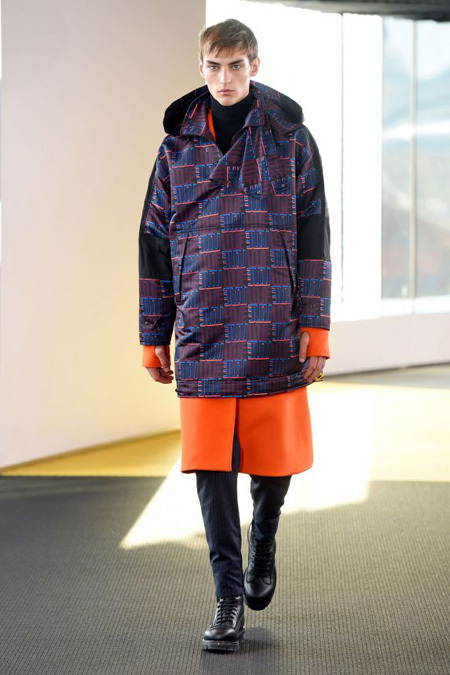 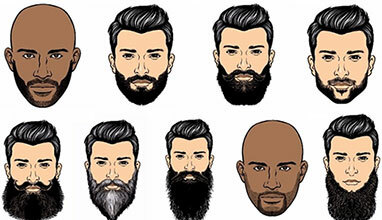 They deconstruct to reconstruct the functional. 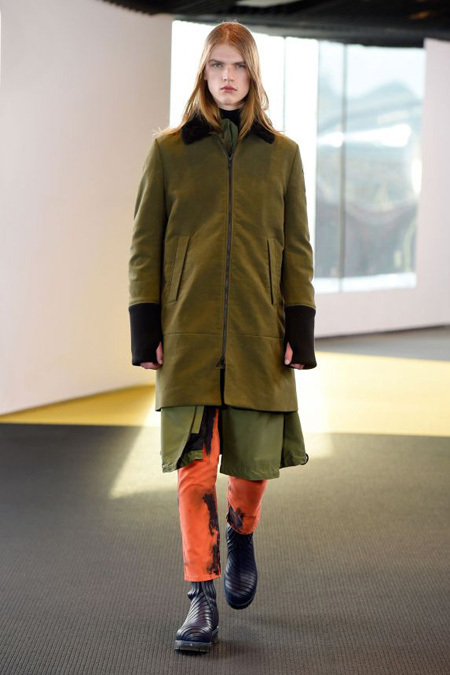 Waterproof nylon parkas in green and orange offer a utilitarian protection over boxy shaped fine wool jackets. 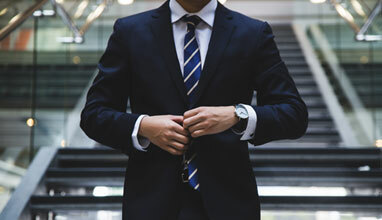 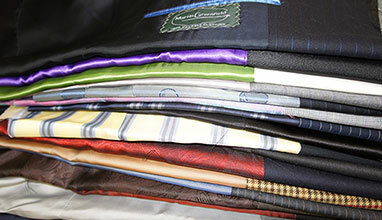 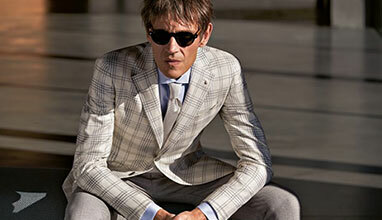 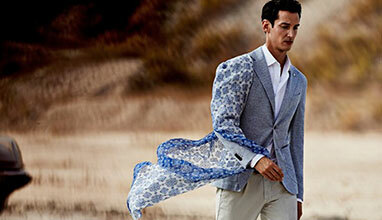 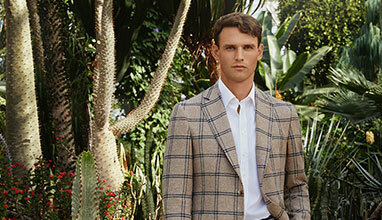 Parachute seams on silk and wool trousers also appear on shirt and jacket sleeves. 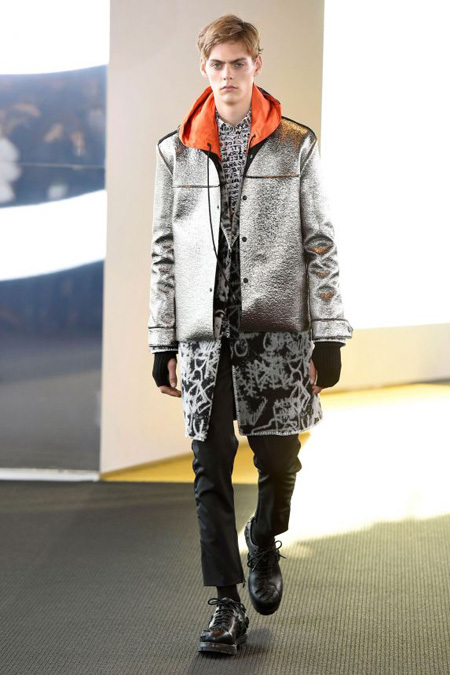 Blanket jackets in a fleece jacquard come juxtaposed over space dyed knits. 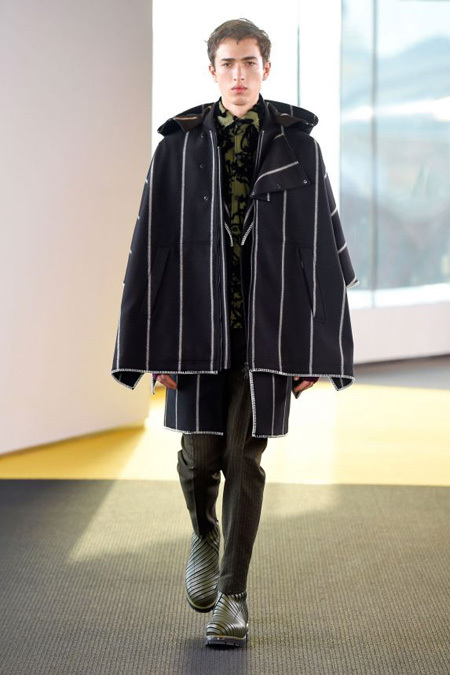 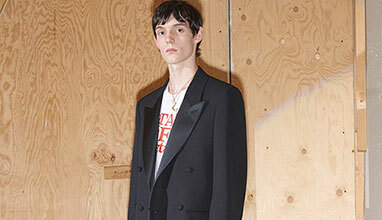 Oversized pinstripe wool overcoats with blanket stitched reveres are a nod to the traditional when worn alongside silver foiled outerwear. 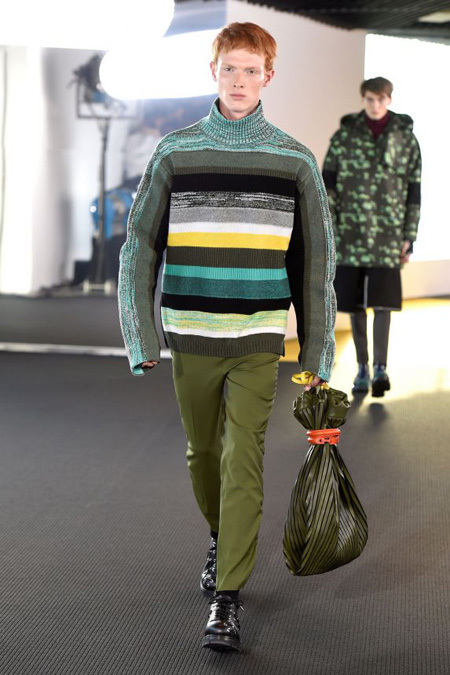 Knitwear highlights include thick intarsias, and multicolored blankets collaged together. 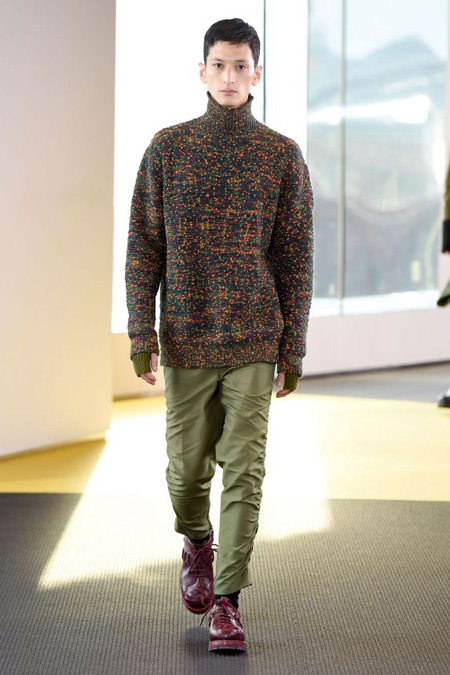 Rich dark greens are mixed with blacks, greys and burgundy. 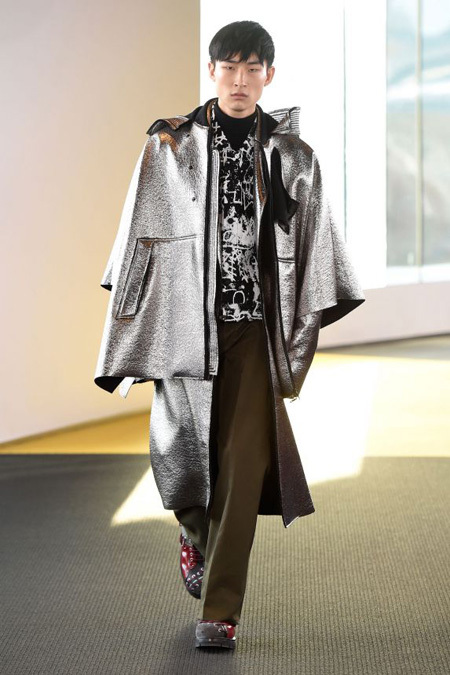 Brightness is introduced with flashes of metallic or orange. 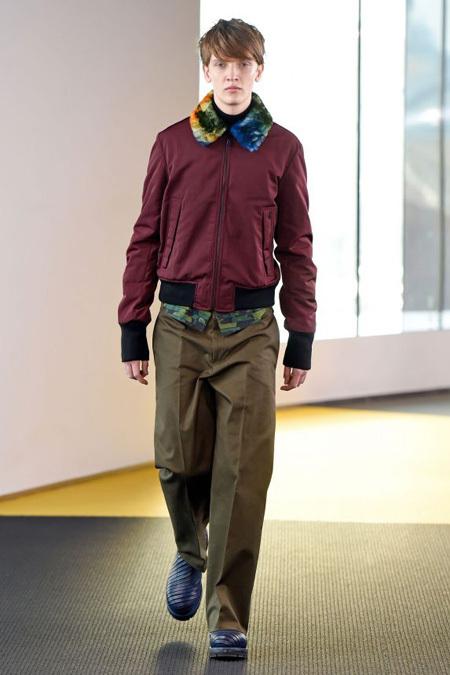 For accessories, patchwork utility shoes and boots are laced together. 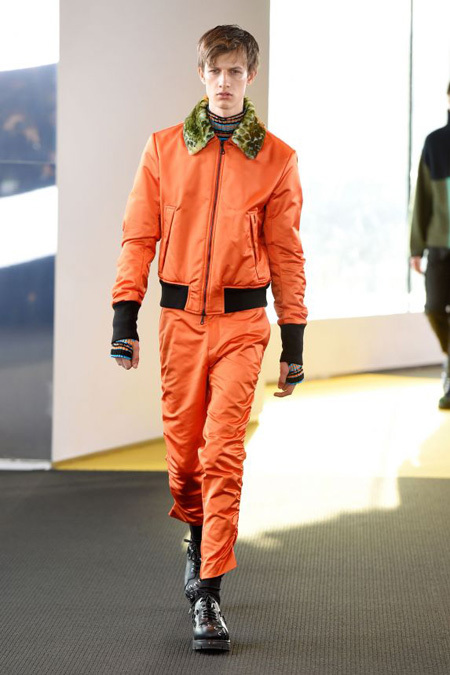 Aviators with oversize protective temples accompany knitted handwarmers and beanies, and drawstring totes come in leather and stretch satin or fleece.